Looking for a manageable mini farm? This 2.1 +/- acres lays like a dream. Fruit trees and great garden areas abound as you drive to the house at the back of the property. Need storage? The two car garage just might do the trick. Fenced in area would be perfect for your small pup! 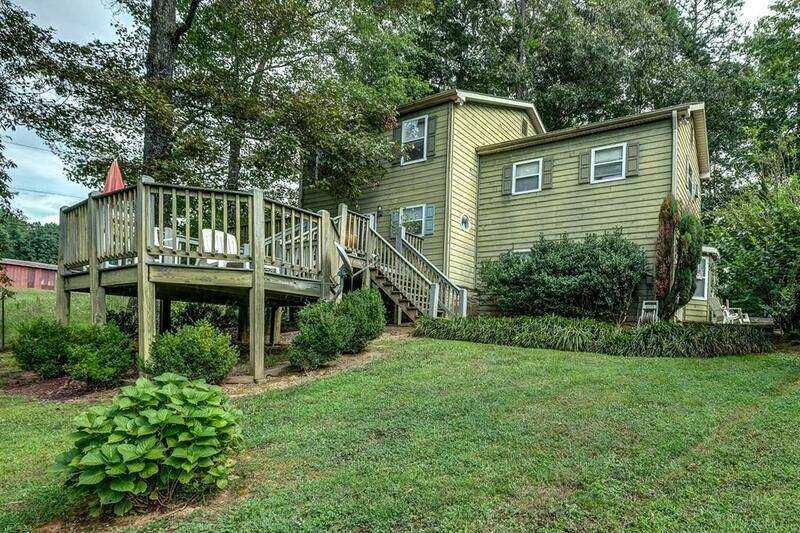 Enjoy all the seasons for your deck canopied by the trees. Step inside and enjoy all the square footage. Plenty of room for all of your friends and family to come and visit. Calming colors throughout, this home has plenty of storage, custom kitchen, and soaring ceilings. The mountains are calling. It's time to come home.